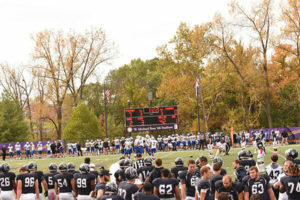 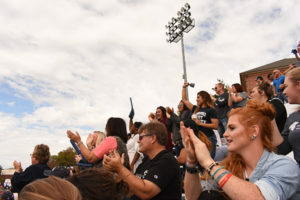 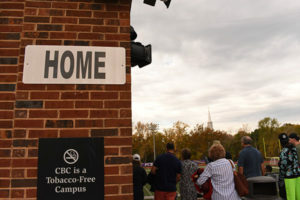 The Spartan football team gave the crowd an exciting Homecoming game, but the Spartans could not take home the win. 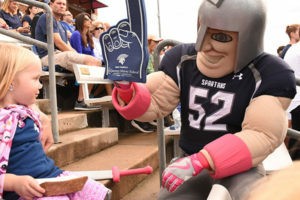 Spartacus encourages fans to get on their feet and cheer on the Spartans. 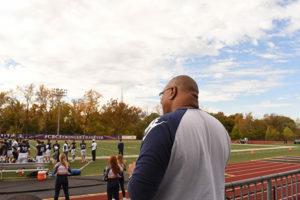 MBU Cheer entertain the crowd throughout the game. 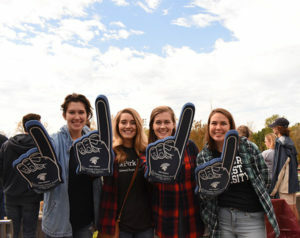 Anna Hughes, Haley Birkner, Kathryn Hinrichs and Tanya Drochner enjoy rooting for the home team. 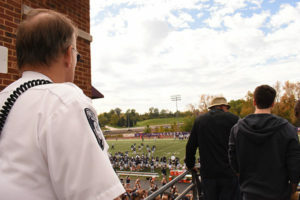 Steve Heidke, director of public safety and transportation, looks on at the field. 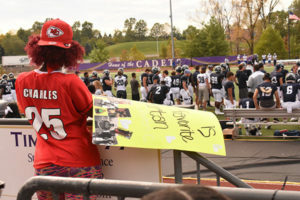 Fans created signs to cheer on their favorite players. 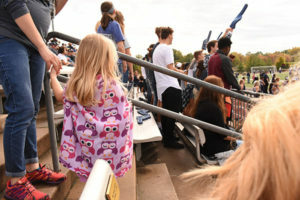 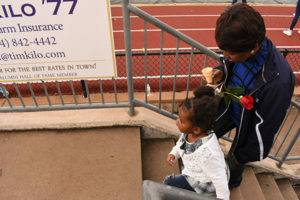 Kayla Knapp and her daughter Addison walk down to the stands to watch the game. 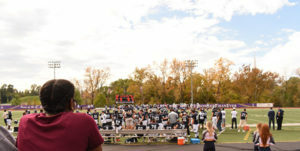 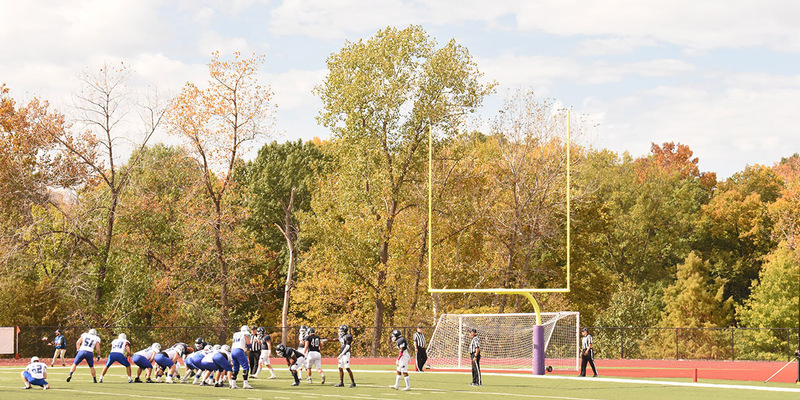 Fans cheer after a Spartan touchdown. 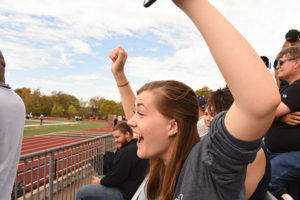 A Spartan touchdown inclines Haley Birkner to clap and cheer. 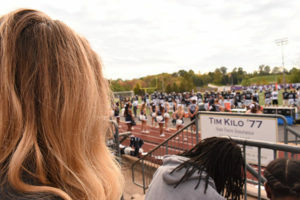 Junior Kathryn Hinrichs enjoys cheering for the Spartan football team. 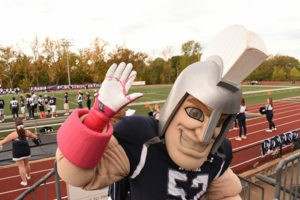 MBU Dance team entertains the crowd after a Spartan touchdown. 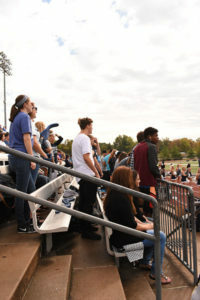 Seniors Clayce Fletcher and Abby Kassebaum walk through the stands to sell merchandise for the Alumni booth. 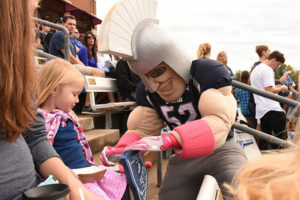 Addison Knapp and Spartacus interact during the game. 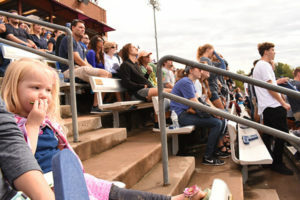 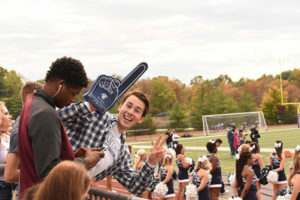 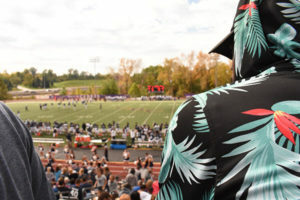 Freshman Sam Clifford enjoys the football game. 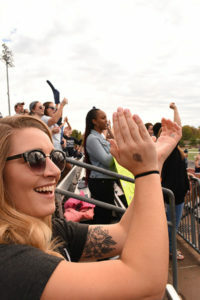 Shelby Wannemuehler is a staff journalist for MBU Timeline. 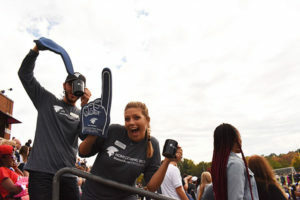 A public relations major with a minor in journalism, Wannemuehler enjoys working as an intern for a local advertising agency. 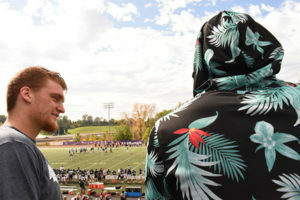 Wannemuehler plans to continue pursuing a career in the advertising industry after graduation.